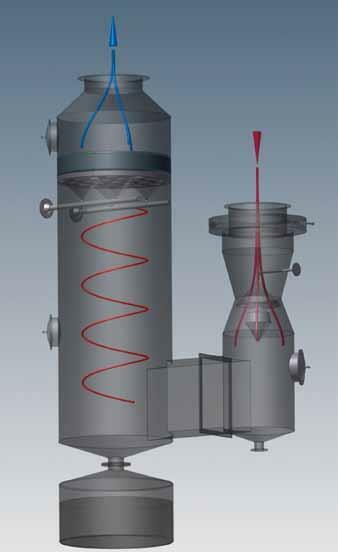 Exhaust gas with dust is fed into the venturi section where it passes through a water mist at the venturi throat at high velocity. 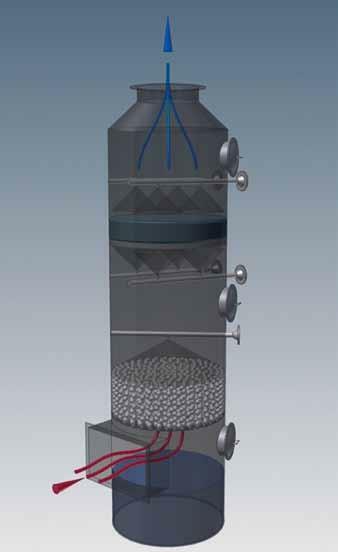 This results in thorough mixing of water droplets and dust particles which agglomerate to form larger particles which are subsequently removed from the gas in the separator section. 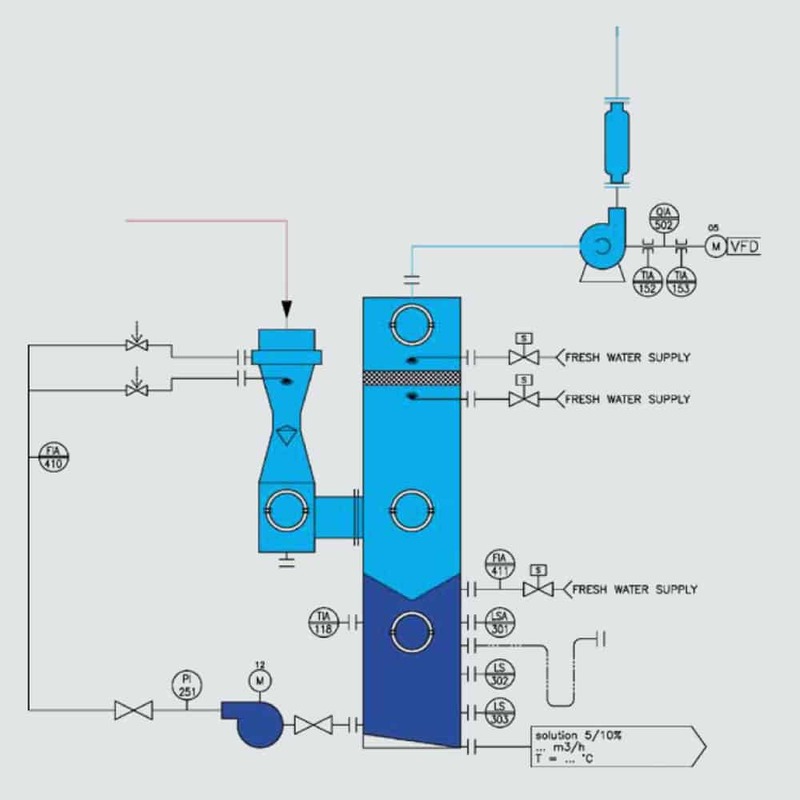 The water supply units and spraying systems allow recirculation of water with high dust contents. 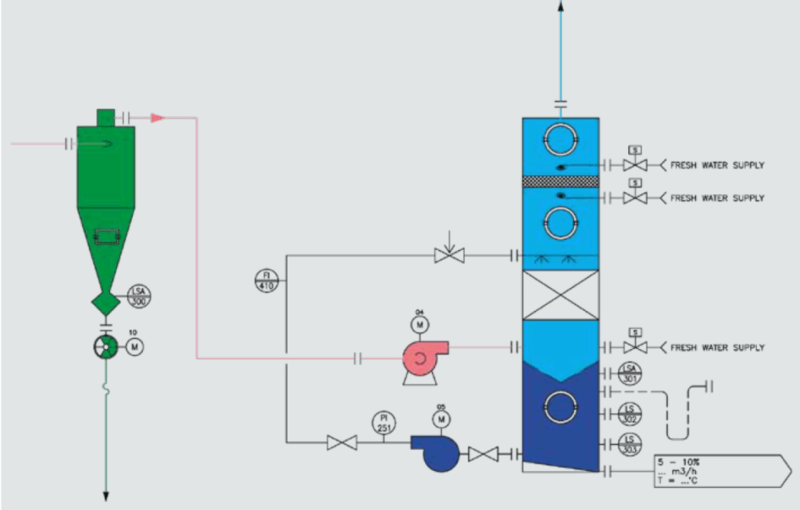 These systems are used for cleaning particulate matter from exhaust gas with stringent emission level, soluble dust mainly in the mineral and chemical industry. to facilitate intimate contact between a scrubbing liquid and gas to be scrubbed. Applications are: reduction of dust or gaseous emission levels, product recovery, air pollution and odor control. packing material. The liquid wets the surfaces of the packing material, providing a large amount of surface area for diffusion of one or more components of the gas stream into the liquid stream, thereby cleaning the gas.